Thelma dreams of being a glamorous unicorn. Then in a rare pink and glitter-filled moment of fate, Thelma's wish comes true. She rises to instant international stardom, but at an unexpected cost. 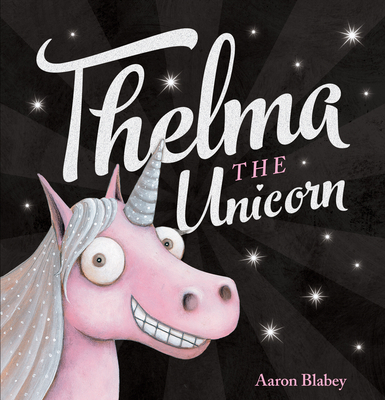 After a while, Thelma realizes that she was happier as her ordinary, sparkle-free self. So she ditches her horn, scrubs off her sparkles, and returns home, where her best friend is waiting for her with a hug. From award-winning author Aaron Blabey comes this joyful book about learning to love who you are...even if you don't have sparkles.